It’s only just off the highway south of Yass and on the Road to Gundagai, but, if you didn’t know it was there you might be tempted to drive right past. I am talking about Jugiong, an absolution gem of a village right on the banks of the Murrumbidgee. We settled into this idyllic location for the week but could have easily stayed longer as we took in not only the local attractions but used it as a base to explore the nearby surrounding towns. It felt like stepping back in time as we got back to basics, enjoyed the campfire, had swims in the river, browsed the galleries and got to meet the friendly locals. Known as the Murrumbidgee River Village, this small locality dates back to the 1820’s when it was first settled as a sheep grazing run. It was also an area frequented by bushrangers, in particular, Ben Hall, Jonny Gilbert and John Dunn who in November 1864 held up the Gundagai mail coach on the Sydney to Melbourne run. As a result, local sergeant Edmund Parry was shot and killed when he and other police tried to stop them. A memorial has been set up in the local park in town to remember Sergeant Parry. A further claim to fame of the village is that the famous Australian cricketer turned commentator Richie Benaud spent part of his early life in Jugiong. The village now consists of only a handful of buildings, a pub, café, and several galleries, with its local service station providing a handful of groceries and backing up as the local post office. Look closer and you will find a local pool, fresh fruit and vegie shop, luscious ice creamery and one of the best assortments of local wines from right around the region. Established in 1852 The Sir George has recently been restored by Liz and Kate, who purchased the pub 3 years ago and have now transformed to its former glory, carefully blending the old with the new, they have managed to maintain the character of the pub. It has a warm family feel about it with a great atmosphere. As you walk in past the beautiful edible garden full of herbs and fruit trees, it opens up to a lush green patch of lawn with a great play area for the kids to run around on while delicious pub meals are served in the open courtyard. If you get there early enough, you can smell the fresh bread being baked on the premises, explore the small gift shop out the back and even get to pat Max & Jasper the two friendly goats. And this great pub is only getting better as they are expanding, and it is soon to have a brand new bakery and luxury accommodation out the back for those that want to stay longer. Formerly the Jugiong General Store, it now has a reputation for the best produce store and café in the area with many local residents travelling from the surrounding towns of Young, Yass and Gundagai just for the food. Specialising in house made jams, chutneys, oils and sauces, they are open every day bar Tuesdays for breakfast and lunch. It was an ideal place to celebrate my ?? birthday celebrations with a selection of great food. Not sure if this place is named after one of the owners Brian, but he certainly is a colourful character, as is his artwork. The Quirky Crow has been a work in progress over the last three years for Brian and his partner Trish and opened its doors for the very first time in December this year (2018). Formerly the old Ampol service station, the building has now been transformed into a shop, gallery and studio that contains a collection of pottery from Trish along with other one-off unique pieces from other locals. Brian has also added his artwork making a visit to the gallery an eclectic experience whether you just want to browse or buy. As a side interest, Brian has also spent the last few years working on his Australian version of a Gypsy Wagon. 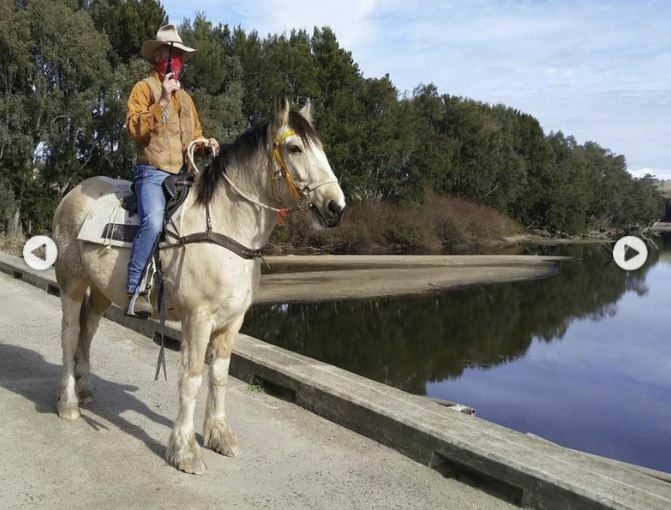 Whilst most of us choose car and caravan or campervans to traverse the land, this former Drover, with a few good yearns to tell is soon to harness up his two beautiful Clydesdales and ride off into the sunset to explore the land. Fancy being held up by a Bush Ranger! The Jugiong Country Experience is a unique way to find out more about the history of this fascinating location and includes being help up by a bungling bushranger who then becomes your tour guide. Leading you through the historic buildings and showcasing the bushranger past and scenery of Jugiong. The tours include morning, afternoon teas, or lunch, with old fashion country hospitality and live entertainment with lots of laughs. For more details see Jugiong Country Experience. If you enter the village from the north, you will drive past a series of sculptures along the way. They are the creations of well known local sculptor Keith Simpson. Keith has lived in the area for over 20 years and during this time has created many sculptures, which he proudly claims are scattered right throughout Australia, in every state but WA. Keith and his lovely wife Joan run The Hut Gallery, open on the weekends or by appointment between October to March. You can wander through the gardens and have fun searching for many of Keith’s sculptures hiding in the garden, some of which are available for sale. There is also a rustic log cabin that is Joan’s art studio where she showcases her paintings and handmade cards for sale. 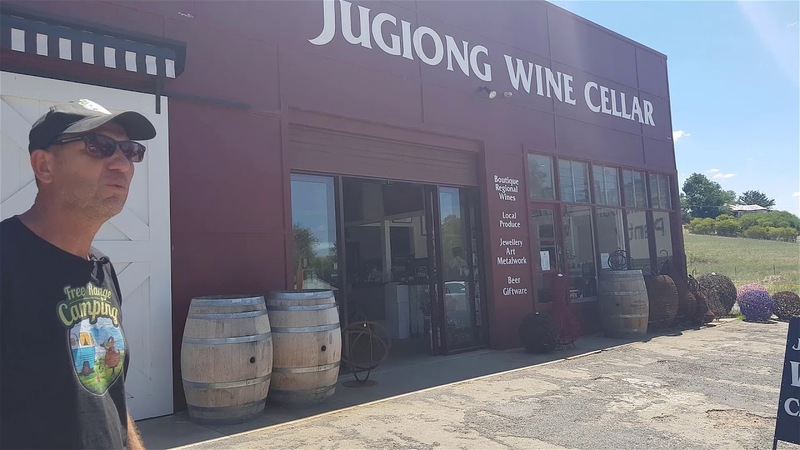 Right next to the Long Track Pantry is the Jugiong Wine Cellar. The cellar has a range of wines from the four major surrounding wine regions of Tumbarumba, Young/Hilltops, Canberra and Gundagai. In all, there are over 28 wineries in these regions and many of the wines you will find at the Cellar are not available on retail shelves. The Cellar also has a range of local produce including delicious natural sauces and jam, honey, and olive oils as well high-quality artworks in all mediums, including those of well-known award-winning landscape artist, Ken Knight. Another great place to visit and eat at is the Jugiong Motor Inn. Not just a place to stay, the owners Jen and Mark have transformed the inn since they arrived five years ago. 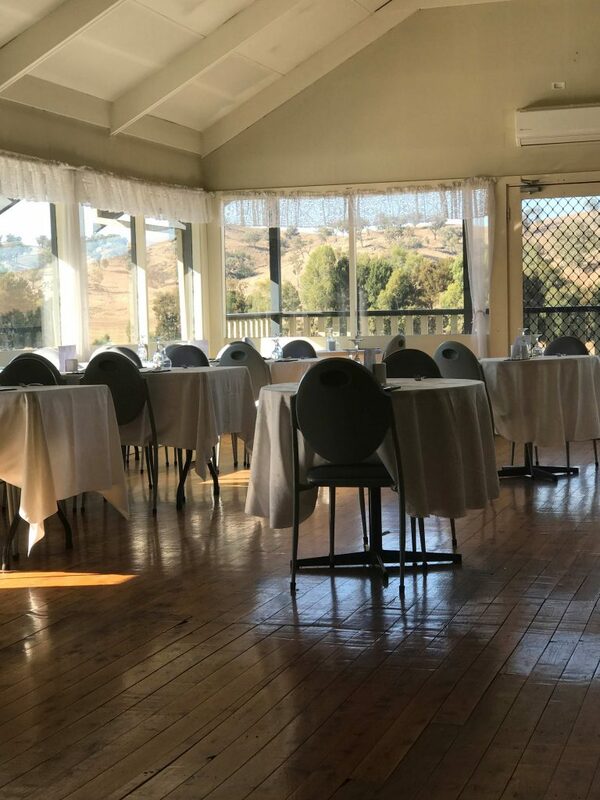 Apart from having a public bar where you can meet the locals and find out more about Jugiong, they also offer a full evening a-la-carte menu with great value meals. And the kids can interact with the hand raised poddy calves and the two resident Alpacas on the premises. Jen and Mark also offer a great service where they can come and pick you up and drop you back off from your caravan if you are staying at the Free Camp in town. The village also has a local gelato bar known as Lickety Splits, with a great range of tasty ice creams, making it hard to choose just one. Gino’s Fruit and Vegies are just behind the ice creamery, and open between 10 am to 4 pm only on Wednesdays, and have a great range of fruit and veggies from many local suppliers. There is a service station in the village which doubles up as the local Post Office and has a selection of essential grocery items, and also has a roadhouse attached with a full range of meals. There is also the local pool in the centre of town or you can take a dip in the river to cool off on a warm summers day. 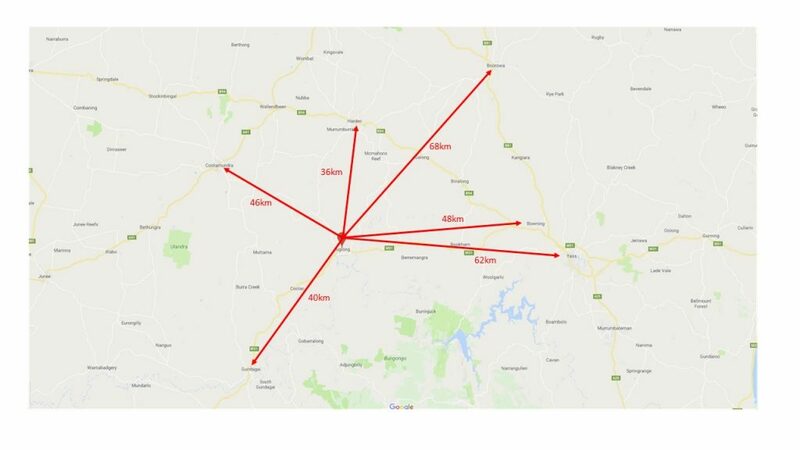 There are also many towns to explore from Jugiong, including Harden 36km, Gundagai 40km, Cootamundra 46km, Bowning 48km Yass, 62km and Boorowa 68km. Watch our video tour of Jugiong where Rob walks through the town and campground and shows you some of the locations mentioned above. 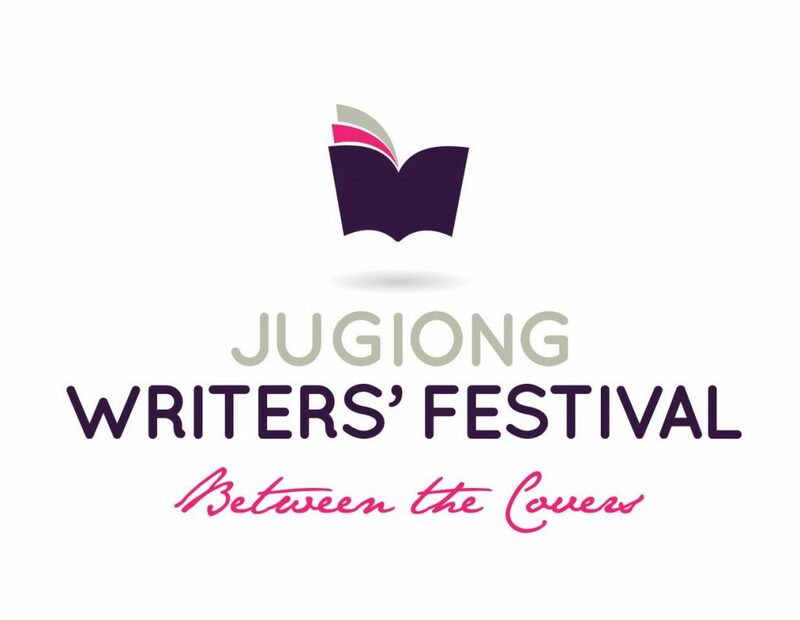 Although only small, Jugiong does have its own dedicated event, in the form of the Jugiong Writers Festival. The Sir George is also a regular source of entertainment with artists often preforming in the beer garden. Is a bi-annual event, with the next one scheduled for March 2019. There are various workshops that will be held, including one with Stephanie Dale, an award-winning journalist and author with a background of 25 years in media, politics and publishing. If you have ever wanted to record your travels, but not quite sure how to go about it, the workshops would be an ideal place to start. The festival will also have Poetry and Short Story competitions and will feature sculptures on display from various artists including Keith Simpson, Jim Hamilton, Stewart Litchfield, Bev Holmes and Ross Fairley. 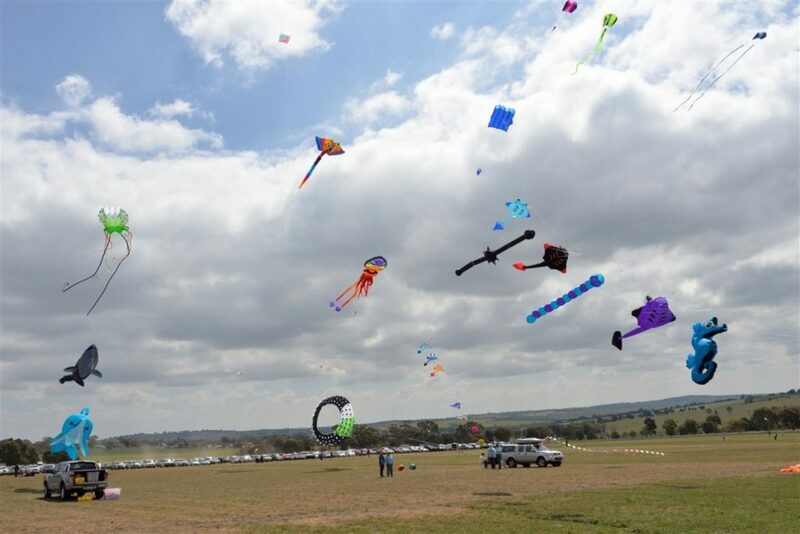 Not far up the road in Harden, in October each year, they hold the Annual Harden Kite Festival. It is a community event with free activities and entertainment for all ages. It has cultural performances, kite decorating workshops, kid’s activity alley and a petting zoo, and of course, plenty of Kite flying, where you can fly your own kite or buy one on the day. It is an aalcohol-freeevent and entry is by gold coin donation. The event runs all day and includes all-day ride pass for unlimited rides for the kids. You can also browse the great range of market stalls with a variety of tasty food and good coffee available, or feel free to bring your own picnic. For campers and caravans, there is only one place to stay at Jugiong, but what a place it is. A free camp located on the site of the old showground and right on the Murrumbidgee River. The site is massive and level with a multitude of areas and sites to camp up. There is no power, plenty of places to put the solar panels out. There are sites up the front near the toilets, or down as far as the riverbank. There is plenty of water and rubbish services. Whist the site is technically free to stay at, the local progress association has been putting a lot of work into maintaining the campground, planting new trees and providing water and rubbish removal as a free service. They want to keep it free, but with the number of campers now using the site, the costs are starting to add up, so they would appreciate a donation. A small donation box has been set up near the toilet block at the entrance, and they hope to soon have enough to build shower facilities for campers. If caravans or tents are not your thing, but you still want to see this magnificent area, the Jugiong Motor Inn is just up the road. It consists of 18 air-conditioned rooms an a-la-carte restaurant and public bar, where you can have the opportunity to catch up with a few of the locals and find out more about the region. The Inn is set on 5 acres of manicured gardens, and you can interact with the hand raised farm animals, including the two alpacas.